Known Relatives: Ahmed Khalfan Fadhil (father, deceased). Group Affiliation: The Losers; formerly Fahd’s Jihadi cell. 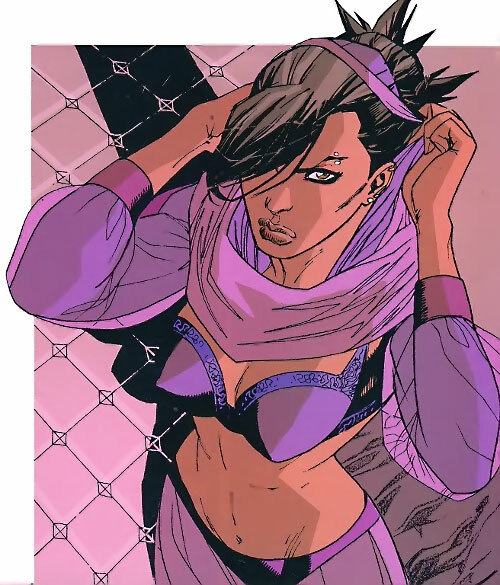 Aisha is highly skilled at stealth and infiltration, and is an exceptional knife fighter. She has a fairly undisciplined and acrobatic fighting style. 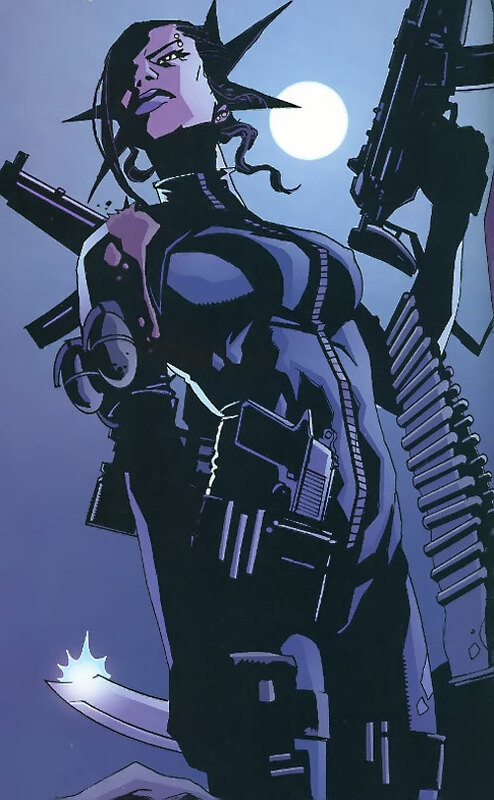 She appears to have had extensive, informal, military training, and is skilled in the use of a wide range of military weaponry. Aisha was the daughter of Afghan warlord and slave-trader Khalfan Fadhil. How close they were is unrevealed. She grew up surrounded by war, soon becoming a soldier against the Russian incursions into her land. Following their expulsion she became radicalized. Aisha joined an Islamic extremist organisation and worked closely with fellow jihadi Fahd against American interests in the Middle East. She also made contact with the CIA, pretending to work for them as an informant. Learning her father had been killed by American soldiers, she investigated. She learned they’d been manipulated into it by a person known only as Max. 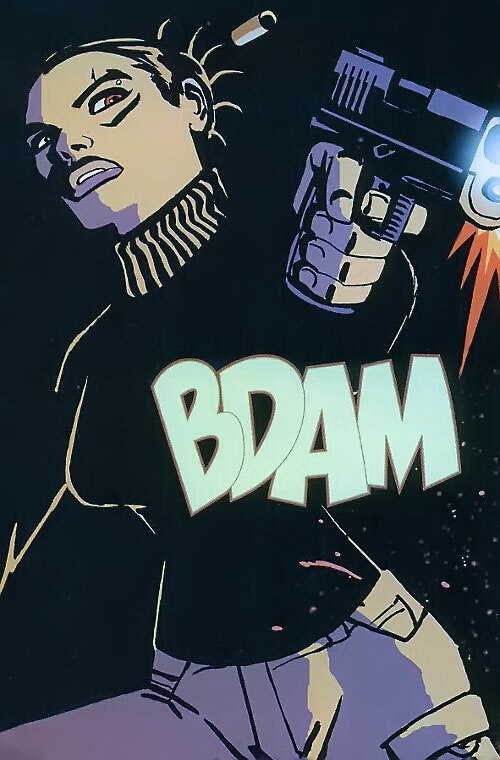 During her investigation she met Colonel Franklin Clay – leader of the Losers – the squad that had performed the mission and who were believed dead. 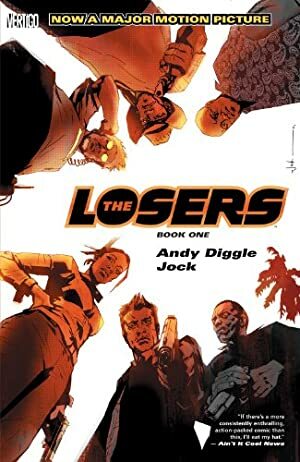 She didn’t tell him her relationship to Fadhil, but they agreed to work together to hunt down Max and she joined the Losers when Clay reformed them. When Fahd was captured by American forces in Turkmenistan Aisha returned there, and made contact with her CIA handler. She tricked him into helping her rescue Fahd and destroy the valuable oil pipeline. Following their recovery of a nuke in Russia, Aisha lets Fahd know where Stegler secures it so they can use it for their own purposes. 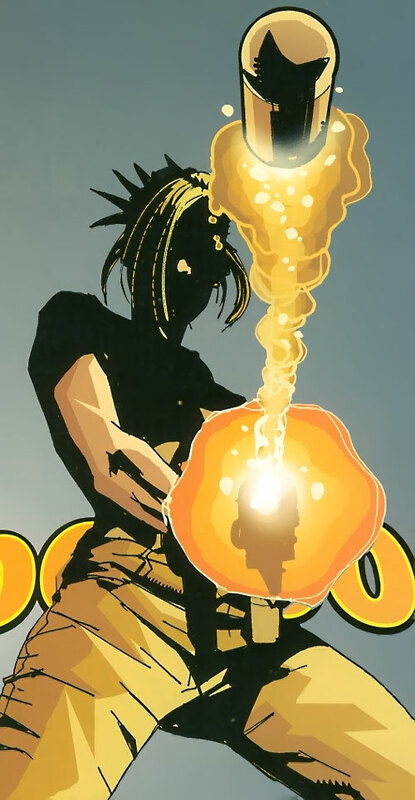 When Clay’s shot at Max fails, he’s caught by an incendiary grenade thrown by Aisha, who no longer needs the Losers. Covered in flames, he still manages to charge Max, sending them both plummeting over the edge of the platform. 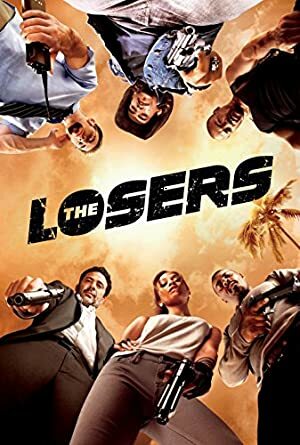 The remaining Losers then learn that Max is actually a pair of identical twins, the second of whom appears, shooting at Aisha. She escapes out a window, surviving, and getting to the ground. Cougar and Jensen miss their shot at Max, and retreat to the secret pipeline. They’re surprised at the pipe entrance by Fahd, who manages to seriously wound Cougar before they kill him. They deactivate the bomb, but, when Cougar realises he won’t make it through the pipe, he decides to stay with the nuke, buying Jensen time to escape before setting off the bomb. Jensen makes his way through the pipe, emerging into an empty ocean, the ship that the Sheik promised would collect them nowhere to be seen. Meanwhile Aisha charges a hundred mercenaries to try to reach the docks before the bomb is exploded. Aisha is an intense and aggressive person. 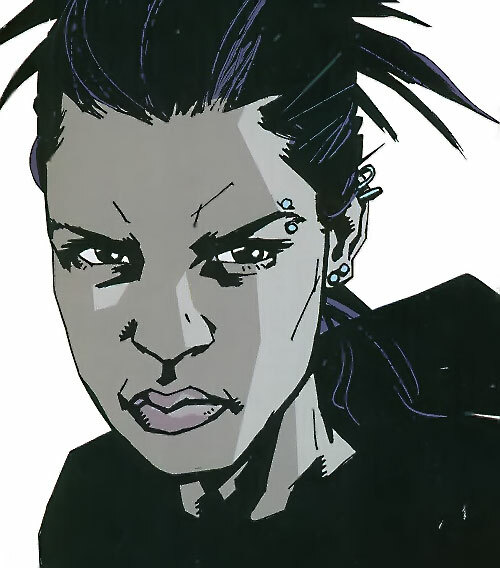 She is fuelled by hate and rage, and while she can keep it under control, she often needs to give vent to her violent impulses, selecting a random stranger and attacking them if necessary. Usually she maintains a calm, if intense façade, rarely talking casually, but in a fight she is brutal and wild. Expertise (Parachuting), Familiarity (SCUBA), Iron Nerves, Language (Arabic, Pashto), Schtick (paired weapons). Losers (Low), CIA (Low), Fahd (High), Islamic Jihadis (Low). 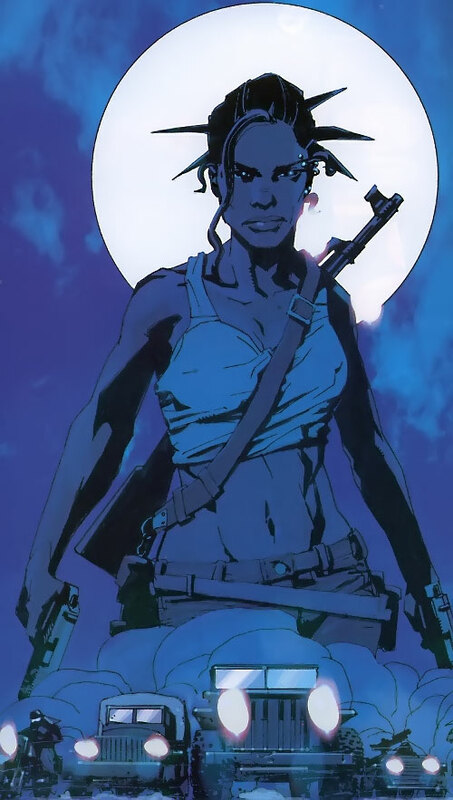 She regularly carries a Bowie Knife [BODY 06, EV 03 (04 w/STR), Sharpness (EV): 01, Note: Balanced for throwing]. Aisha occasionally uses a Ripper [BODY 03, EV 02 (04 w/STR) — a piece of plastic armour that covers her middle finger and ends with short but extremely sharp barbs]. The surgical buzzsaw blade hidden in the DC player of her laptop would have the same stats.